Kathy is an Associate Professor in the ASN program. Her nursing career has been a journey. That journey began when she was six years old. She helped care for her great-grandmother who had suffered a hip fracture. Her grandmother called Kathy, “her little nurse”. She quickly decided nursing is what she wanted to do with her life; making the world a better place through her nursing career. Initially she wanted to become a medical missionary. Her family discouraged any thought of going to foreign lands. She first entered nursing at the age of fifteen as a nursing assistant working part-time in a long-term care facility during high school. She enrolled in a program for practical nursing and remained a licensed practical nurse for twenty years. In 1994, she graduated from Stark State Technical College in Canton, Ohio with an ADN in nursing; the same year her eldest graduated from high school. In 2007, Kathy graduated from Indiana Wesleyan University RNBSN online program. She was also inducted into their Eta Chi Chapter of Sigma Theta Tau International Honor Society of Nursing. In 2009, she graduated from South University’s online program for Nurse Educator with a Master’s Degree in Nursing Education. She was also inducted into their honor society. Ms. Knobloch began teaching as an adjunct nursing faculty for Indiana Wesleyan University’s RNBSN program in June 2010. In 2012, she became an adjunct clinical instructor for Aultman College. She was hired as full-time faculty in June 2014. Kathy has worked for Aultman Hospital in the acute rehabilitation unit and Aultman West Surgery Center since 2000. 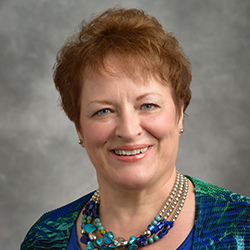 Ms. Knobloch states, “I believe Aultman College of Nursing and Health Sciences is unique because it is hospital – based. It is not just another college or university with a contract for a hospital clinical site”. Aultman College has quite an impressive history of over 100 years of producing excellent nurses. She chose to become an educator here to leave her imprint on the future of nursing and to play a small part in the Aultman nursing story. She has always been quite proud to be affiliated with Aultman Hospital because of its values, mission, and service to the community. She is proud to be a part of a college with a remarkable history and a futuristic vision. Ms. Knobloch states, “I am excited about what the future has in store for us and the community around us”. Ms. Knobloch is married with three grown children and six grandchildren. She loves crocheting and playing the piano, when she can find the time! She also teaches Sunday school for third-grade girls, which she enjoys very much. So many of the children just need someone to care and show them that they are loved. Ms. Knobloch states, “What a blessing they bring into my life”! Although her nursing career did not take her to foreign lands, she has found her mission field right here at home.